The Great Online Shopping Festival idea was put forward by Google India in association with India's leading e-commerce sitesin 2012. 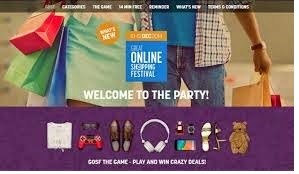 The entire idea behind GOSF is to enhance online shopping in India by providing great deals and big discounts on many products in categories like Apparels, Electronics, Travel, Home & Decor etc.More than 200+ online merchants are participating in this event this year.Many are expecting that GOSF is going to be much bigger and better than ever before So don’t miss your deals on the favourite categories and grab the best deals of GOSF 2014. The most awaited Great Online Shopping Festival 2014 Sale is all set to start 10th December 2014 at Amazon.in and this year we might be see much bigger and better deals than that of the last year . This year Amazon India GOSF Sale begins on 10th December and lasts upto 12th December 2014 . 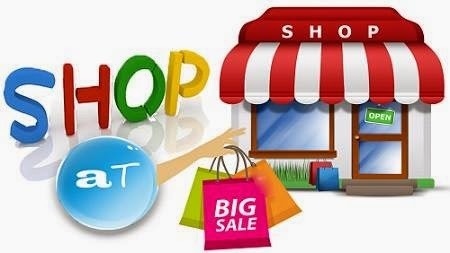 Throughout this period you will huge discount on millions of products from from Amazon like Mobiles, Tablets, Laptops, Computers, Cameras, Electronics, Clothing, Books, Shoes and many more. In this year 2014, GOSF is associating with 14 brands to give 14 winners FREE shopping for 14 min worth up to 2.5 lakh rupees. Each day a new brand will offer a new way to win and on December 9th, right before GOSF opens, you can participate in the crazy 14 min of free shopping.We wish you good luck.